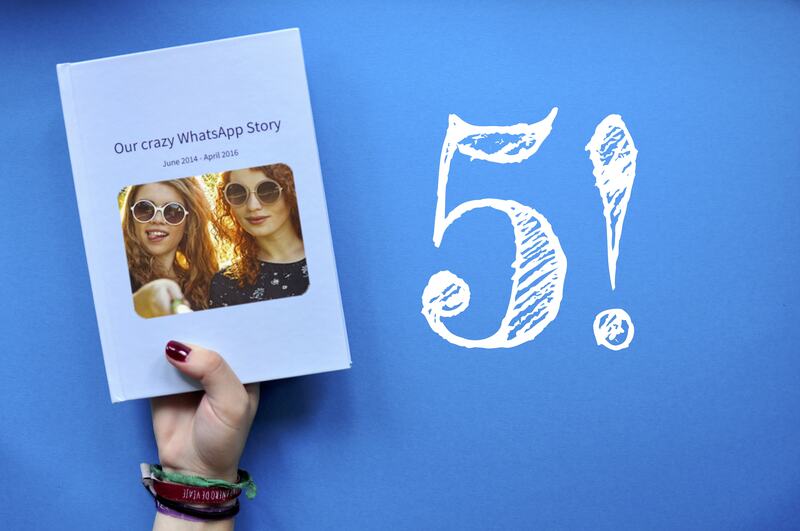 Top Five Reasons to Transform Your WhatsApp Chat into a Book – From Emotional to Scientifically Proven. Every day you chat, comment, and receive answers. You create a record of gazillions of small and big events this way. WhatsApp has become the running commentary on your life! 2) WhatsApp is short-lived – just like your smartphone. You think everything is already recorded in your WhatsApp chat? It is – until you lose your phone, it breaks or you buy a new one. Print your favourite WhatsApp chat as a book and you can pull them off the shelf, show them to your friends, your kids or even your grandkids in 40 years’ time. Your memories are worth preserving for much longer than the most recent edition of your smartphone! 3) Reading a book improves your memory. Studies have shown that information you read printed our on paper sticks to our memory better than information you read digitally. Surely, there are some very memorable messages and pictures in your WhatsApp chats! 4) You have something to hold on to. Something physical. Something you can touch. Something real. With its own weight. With pages to leaf through. With smooth paper. And our inner child always always always wants to touch everything –right ? 5) You can show your favourite person how much their thoughts, opinions and words mean to you. A chat always has at least to voices. By printing your messages, you show your chat partner that your conversations are important. Printing a WhatsApp chat means appreciating it! And these are only the Top 5 – there must be at least 1000 good reasons why you should print your WhatsApp chat. Everyone has their own story, their own occasion, their own reason to print your own WhatsApp book.